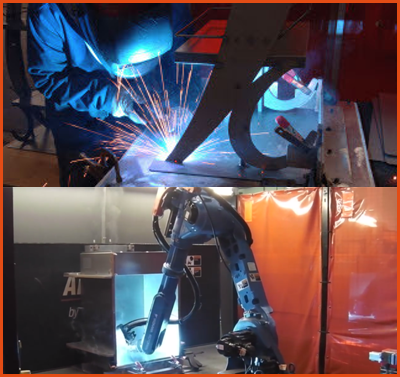 State of the art, high-tech equipment makes a difference with metal fabrication. 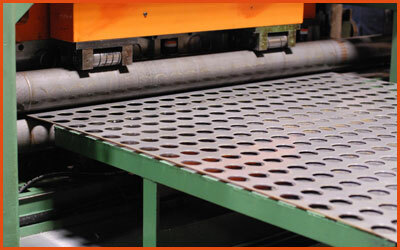 It means that metal can be easily shaped, formed, pressed, welded, punched, and precision cut in any way your job requires. 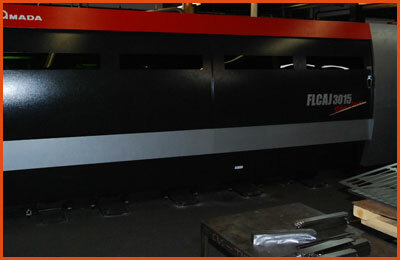 Our equipment and our experienced team can handle pieces of metal up to 6 feet wide and 20 feet long with a range of thicknesses from 28 gauge up to 1 inch. We can also often eliminate secondary operations which reduces lead times and saves you money. 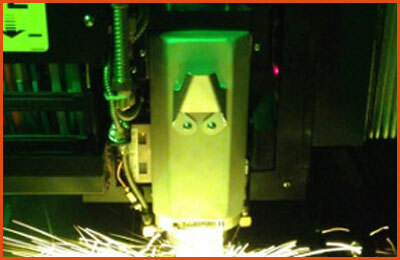 Our facility is filled with state of the art tools that can fabricate and perforate metal to the most exacting tolerances and the most diverse specifications - from complex assemblies to simple brackets - with precision. 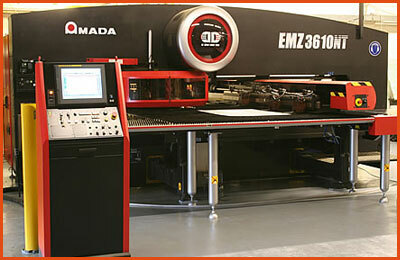 Our equipment is designed to be set up quickly and is calibrated for accuracy. 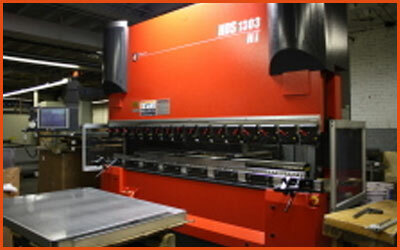 We have dozens of press brakes and panel benders, as well as an extensive library of tools for custom tooling. The newest addition to our punching machines has a speed servo electric twin drive system that can punch 1800 pitch marks and 500 holes per minute with accuracy. We also have the latest laser cutting technology which allows us to create complex shapes from material that used to be thought of as difficult to cut, all with absolute precision. 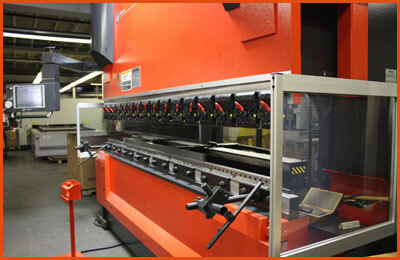 12 - Accupress 7606: 2-axis CNC (multiple), Bend length 72" RAS Panel Bender, Bend length 156"